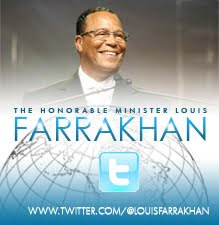 So the trend of inserting the Honorable Minister Louis Farrakhan's good, divine and yes! Holy name into the mad actions of White racists is increasing. But thank Allah, just as with the carnival game that has about six-seven holes from which warped, colorful beasts or characters spring out, only to be bopped back down with the game players cottony sledgehammer, the Nation of Islam's Historical Research Department, comprised of Minister Farrakhan's student ministers, attorneys, editors, writers, believers, and also the Farrakhan Twitter Army - the Defenders of Farrakhan, are there, ready at a moment's notice to bop the madness back down into the dark, lifeless hole from which they sprang. In this week's issue of The Final Call Newspaper, Abdul Arif Muhammad, Esq., General Counsel for the Nation of Islam and Minister Farrakhan had to drop the sledgehammer yet again, this time on Bill O'Reilly who tried to be slick, but was checked - during his show's man on the street interview segment, and that was important, very, very important and we thank Allah for those like the gentleman who spoke his mind, which just happened to be the TRUTH about Minister Farrakhan. We also thank Allah for those like Atty. Arif, who very pointedly and emphatic confronted Mr. O'Reilly's weak, wicked charge. I refuse to post that garbage here, but in the response below each point is mentioned and then shattered. 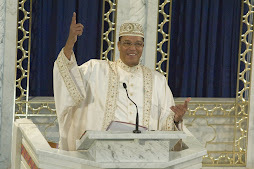 The Honorable Minister Louis Farrakhan is absolutely doing everything he can to save our lives. He just aired the 10th installment of his 52-week lecture series, "The Time and What Must Be Done." And fresh off a Caribbean tour with speaking engagements in Belize and the Bahamas, he's criss-crossing the world and the country to warn, guide and encourage our people, people of America and the world on how to escape the chastisement of God. 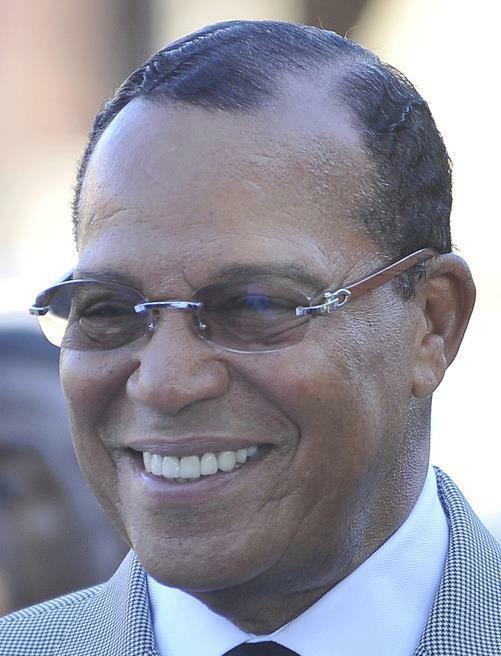 Since February, when he delivered his powerful address "Muhammad's Economic Blueprint: Ending Poverty and Want" during the Nation of Islam's annual Saviours' Day Convention, he's also spoken at Saint Sabinah Church in Chicago, to students in Grand Rapids, Michigan, and yesterday, at Tuskegee University. God is not to come. He is present, Min. Farrakhan warns. But, there's a small, very small window of opportunity through repentance and immediate corrective action for all who would hear him, the lawful captive and the prey. 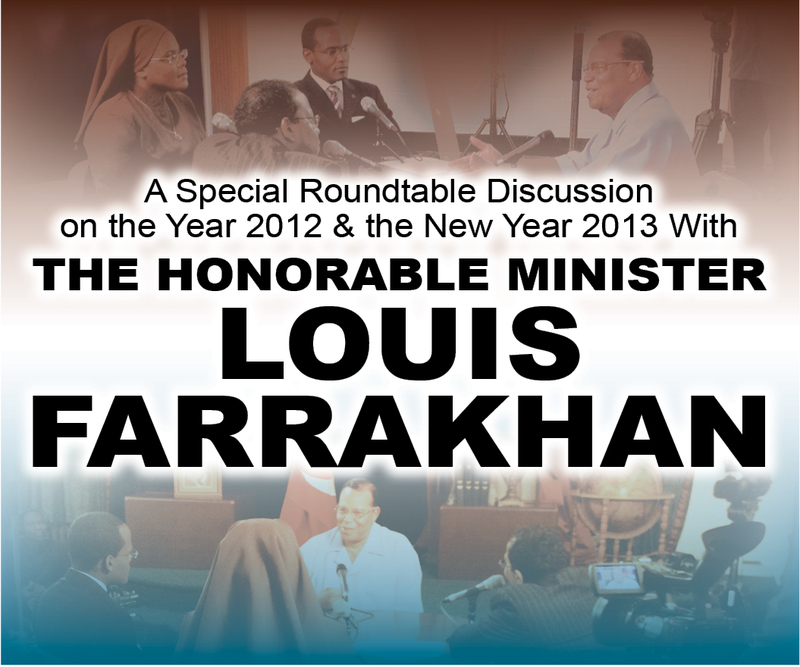 Here is the Honorable Minister Louis Farrakhan with part 10, which will be available until next Saturday. Pt. 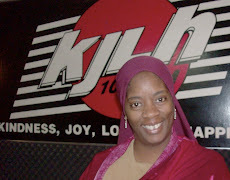 11 of "The Time and What Must Be Done" airs Saturday March 23 at 6 p.m. CST on www.noi.org/thetime. Please, tell a friend! Dialogue about it on social media, but in the best manner, without vitriol or hate. Tonight New America Media and the Los Angeles Multicultural Leadership Network honored excellence in journalism in ethnic media with special recognition for inter-ethnic coverage. Yours truly and The Final Call were honored for our story on mothers whose children have been murdered, either in gang violence or at the hands of brutal police officers. 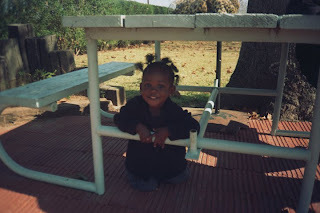 Full story: ("Mother love conquers adversity"). As a fellow honoree said tonight, it is awkward receiving an award for telling a story about someone senselessly murdered (in my story's case, the mothers left to grieve), but I take solace in knowing the recognition helps to spread these mothers' stories and the overall problem of violence in our community across racial, ethnic and generational lines. My prayer is God-willing soon, we can begin to write about the decline of these murders due to these mothers' tireless efforts and growing movement. Proud Mama! L.A. Jr. MGT-Vanguard Debut at SD2013 Drill Competition! I'm a proud mama. Yes! I am. When the little chocolate drop - Akeila Ra'eesah Mariam Muhammad - was born, and all while I carried her, I prayed she would be a mini-me in terms of her loving Allah (Master Fard Muhammad), His Christ (The Honorable Elijah Muhammad) and their Messenger, Last Guide, Last Warner, Last Chance (The Honorable Minister Louis Farrakhan) to us in the world today. And I prayed she would be a strong participant in and contributor to our Nation, whatever that meant for her. Thank Allah those prayers are being answered in my lifetime. Ra'eesah is doing well in her MGT studies. She's finding her light in Islam. And she and other Jr. MGT-Vanguard at Muhammad Mosque #27/Los Angeles have braved the deep waters of the Saviours' Day Drill Competition and survived! LOL. This year they wanted to participate and the budding squad, who'd only ever drilled together for all of about 2 months, and with the staunch backing and support of their parents, Student Western Region MGT-GCC Captain Arisah Muhammad, their drill instructor Sis. Valerie Muhammad (and her default /lol/ assistant Sis. 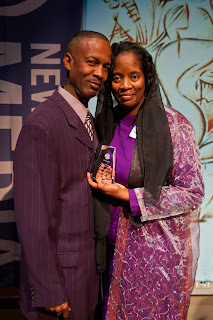 Angelita Muhammad), Student Vanguard Lt. Khalillah Muhammad, and the MGT Class, they went for it and worked hard. They prayed, practiced and produced!! Though typically very shy (her friends would say 'yeah, right!') 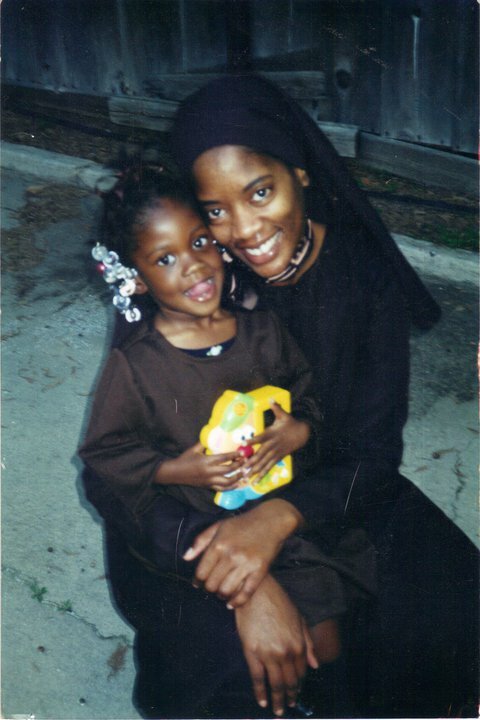 the jr. sisters chose Ra'eesah to be their DI (drill instructor), and Dezja Muhammad as the 2nd DI. Although Dezja's mic malfunctioned for pretty much all of the drill, she still came strong with the voice. Also, did you know: these sisters have a mean stomp but their boot heels were rubber so the thunder didn't really carry throughout the ballroom? tra--aa--gg--eee-dy the comedian says - lol. I was very nervous when it was time for them to take the stage. But for naught. They did it. They completed their mission and ranked 3rd place in the fiercest military drill competition in the land: the Nation of Islam's Annual Saviours' Day Drill Competition. Congratulations: Chicago Jr. MGT-Vanguard - 1st Place, and Atlanta - 2nd Place!! I'm a very proud mama and auntie. Congratulations to all of the drill teams, MGT and FOI. And Congratulations to Raeesah, Dezja, Kaliyah, Lexi, Makkah, Nisa, Khairah, Asia (And Aatallah - Didn't make it to SD but There in Spirit)!!!!!!!!!!!!!!!!!!!! As the Honorable Minister Louis Farrakhan says we should do: you wanted something; you envisioned it; and you went to work to get it. All Praise Is Due To Allah! May He bless you to carry your experience with you throughout your lives. Drill photos courtesy of Brother Hannibal Photography. Thank you Brother Hannibal for supporting and sharing - Always!!!! Want a treat? Order the SD2013 Drill Competition DVD! Making it here is major but also half the effort. "Being" here is the real challenge. I'm going to meditate and pray for focus and success so it isn't all one big blur. This is all I want to say right now. Let's Go! 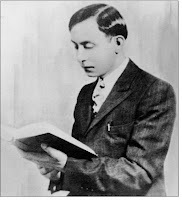 Happy Saviours' Day 2013!!! 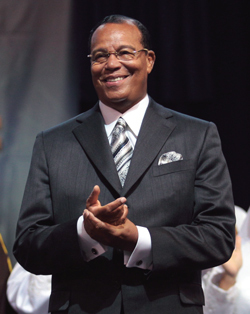 CHICAGO (Finalcall.com) - In a wide-ranging year end interview, the Honorable Minister Louis Farrakhan offered analysis of the year that was and insight into what is to come in 2013. He also announced an historic 52-week series of messages, “The Time and What Must Be Done,” which will officially begin January 12 and be available via the Internet, YouTube, cable access television, radio and on DVD. Among the issues and topics addressed were concerns about the misuse of entertainment and culture, the serious implications of the popular movie Django Unchained in the current racial climate, rising violence in a society spinning out of control, challenges facing President Obama, international affairs and the Nation of Islam minister’s continued effort to reach Black youth. Min. Farrakhan, in answering a question, encouraged single Black mothers to stand firm on solid spiritual and moral ground in raising their sons. Meanwhile, he said, the efforts to remake Black men properly to care for their women and children must be dramatically increased. “The New Year should be a time of deep reflection and commitment, praying that God will help us go through this year and bring us safely into the next,” said Min. Farrakhan, in a New Year’s Day roundtable discussion conducted by the editor of The Final Call, assistant editor Ashahed Muhammad, and staff writer Starla Muhammad at the newspaper’s offices. 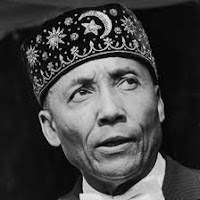 “We intend for the next 52 weeks to deal with the subject that was given by the Honorable Elijah Muhammad, The Time and What Must Be Done. The Honorable Elijah Muhammad finished his time among us with a series of lectures called the Theology of Time. And we in this time want our people to understand that time is the yardstick that judges our actions,” said Min. Farrakhan. The full interview will be available on Saturday, January 5, at 6 p.m CST at http://www.noi.org/thetime.